The role of communication within NATO, in the modern security environment, is critical to NATO mission success. While basic communication training is a national responsibility, not all nations have the resources and capabilities to be able to offer such training. To assist nations in meeting this challenge Education and Training is a key enabler. 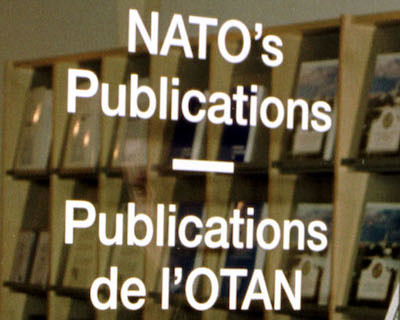 These Allied Command Transformation's webpages provide an overview of existing courses and education opportunities within NATO and partner nations, in the Information Operations (IO), Public Affairs (PA), Psychological Operations (PSYOPS) and Strategic Communication (StratCom) fields. Click here for a list of National contacts for StratCom and Public Affairs training. 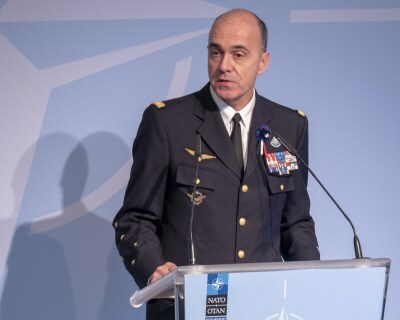 Coherent, appropriate and timely NATO communication depends on highly capable individuals, both military and civilian, from the IO, PA, PSYOPS and StratCom disciplines as part of the overall NATO communication community of interest. This one-week course is conducted in English and is available to both military and civilian participants. The aim of this course is to provide students with the necessary knowledge and skills in order to accent communications, to affect attitudes and behaviors in addition with the employment of military capabilities, economic development and other real-world capabilities that also can play a role in reinforcing these communications. The Information Operations planner plays a vital role in the overall Operational Planning Process (OPP) at the tactical and operational level. Instructors at PSTC for the Information Operations Officer (Info Ops) course have a unique experience in conducting information operations at different levels. The Info Ops course is preceded by a pre-reading package and 10 training days (or two weeks – Monday through Friday). The of this course is to enable personnel to perform Info Ops Officer duties on international or domestic operations or within a headquarters and advise on the conduct and coordination of Info Ops and Info Ops policy. Further, this course enables personnel to conduct staff duties in a HQ information operations cell. This course is designed for military personnel holding the rank of Captain or above for officers and Warrant Officer and above for non-commissioned members that will be performing Info Ops Officer duties on international or domestic operations within a headquarters. The aim of this course is to educate and train students from national, joint and combined organizations on NATO concepts for conducting Information Operations (INFO OPS). This is a two-week course. 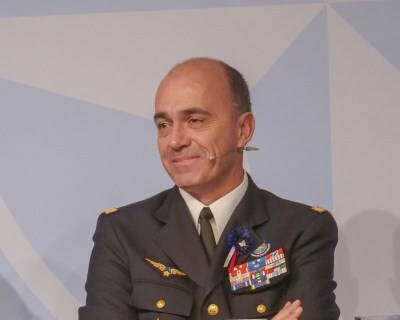 The aim of this course is to expose Senior Officers to issues surrounding NATO concepts on ensuring consistency and credibility of communications by all means through comprehensive coordination, in particular Strategic Communications, Military Information Operations, and the relationship to other communication capabilities and functions. This course provides individuals with the foundation knowledge required for employment in IO roles at the operational level in joint, multi-national, or multi-agency environments. While basic PA training is a national responsibility, ACT recognizes that not all nations currently have this capability, particularly in English. ACT has therefore observed a number of basic-level PA courses that we recommend, and that we are working to gain access to for students from other NATO and partner countries. Some nations also have established courses for NATO specifically to increase capacity of this basic PA training, which is a prerequisite for completing the NATO School Oberammergau PA training. This two-week Basic PA course in English is offered twice a year, usually in May and September and is available to NATO, partners (PfP, MDI, ICI) and global partners both military and civilian. This course consists of lectures & syndicate work, practical work with camera exposure (simulations of real case scenarios for TV Interview, Press Release and TV statements), followed by individual feedback by certified media trainers and group discussions. The aim of the course is to provide basic knowledge and practical skills/techniques in the field of PA in accordance with NATO policy and activities, enabling participants to effectively communicate with media in a multitude of circumstances, including writing news releases, giving camera statements, TV interviews and organizing news conferences. This two-week course, is conducted twice a year in English, in February and September, and is recommended for military and civilian students who wish to practice basic media and communications skills. 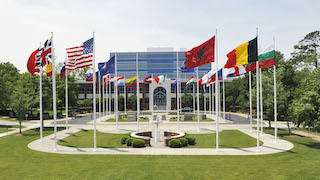 The overall purpose of the Course is to provide students with a working Knowledge of NATO’s Public Affairs policy, responsibilities, procedures and duties of a PAO. This one-week CCOM course is conducted in English once a year, usually in May and is available to NATO, partners (PfP, MDI, and ICI) and global partners both military and civilian. This course consists of interactive lectures and syndicate work, practical exercises with camera exposure followed by individual feedback by certified media trainers and group discussions. The aim of this course is to provide participants with knowledge and practical skills for Crisis Communication and to enable them to effectively communicate with media in a crisis situation. This course is recommended for military and civilian personnel, who already acquired basic PA knowledge and who require advanced PA training in the area of crisis communication. 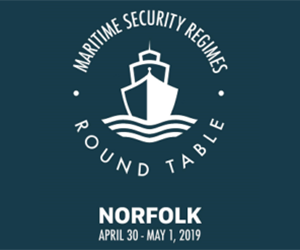 Participants are expected to occupy (or are planned for) PA positions, within Ministries of Defence, Armed Forces or other relevant state institutions. CCOM will enable them advance their media and communication skills in order to perform their everyday duties. This one-week PAIO course is conducted in English once a year, usually in November and is available to NATO, partners (PfP, MDI, and ICI) and global partners both military and civilian. This course consists of interactive lectures and syndicate work, practical exercises with camera exposure followed by an individual feedback by certified media trainers and group discussions. The aim of this course is to enhance participant’s PA skills when deployed to international operations and to enable them to effectively communicate with media within Press Cells organized in international operations. This course is recommended for military and civilian personnel within Ministries of Defence, Armed Forces or other relevant state institutions, who already acquired basic PA knowledge and are selected to perform PA function within international operations. PAIO will enable them advance their media and communication skills in order to perform their everyday duties. The command for Management, Information and Communication Training in the Swiss Armed Forces (MICA), United Kingdom’s Defence Media Operations Centre (DMOC), and the United States’ Defense Information School (DINFOS). The Swiss PfP Media Management Course takes place annually in spring and usually takes up to 20 students from NATO, PfP (Partnership for Peace), MD, (Mediterranean Dialogue), ICI (Istanbul Cooperative Initiative) and Contact Countries. The training lasts eight days and is recommended for NATO military and civilian personnel who are employed in PA positions and wishing to increase their media and communication skills. The course is held annually, usually in the autumn, with a maximum of 16 students from NATO, PfP (Partnership for Peace), MD (Mediterranean Dialogue), ICI (Istanbul Co-operation Initiative) and other Contact Countries. 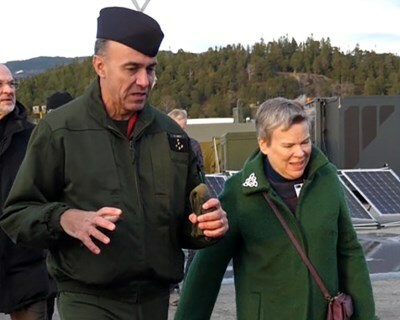 The course lasts eight days and is recommended for NATO military and civilians, who will assume the duties of a Chief Public Affairs Officer or spokesperson. Switzerland has reserved a number of seats for ACT candidates. An advanced course is held every year, usually in the autumn, and typically accepts 16 students. 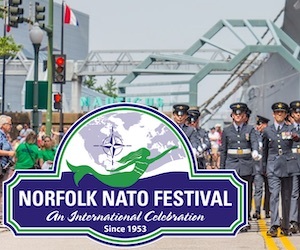 With its emphasis on communications teamwork and individual skills, the advanced course is recommended for NATO students who will be assuming the duties of a Chief Public Affairs Officer or Spokesperson. The UK Defence Communicators' Course is a two-week course that runs up to 10 times per year. This is a foundation course for all military Press Officers. This course trains defence personnel in a range of media and communications activities based against the media and communications competency. The UK Media Awareness and Interview Training course trains defense personnel who are likely to be interviewed by broadcast media to effectively deliver their messages. PAQC is organized into the following eight Functional Areas: Theory and Doctrine; Community Relations; Internal Information; Multimedia; Media Relations; Communication Skills; Public Affairs Operations and a capstone Operations Support Exercise. The material presented within each functional area builds a progressive format, which exposes students to essential foundational knowledge, and builds upon that knowledge through a series of case studies, assigned readings, guided discussions, and practical applications. The course is approximately ten weeks long and applicants must meet prerequisites. The JIPAC provides the knowledge and skills needed to perform the duties of a public affairs practitioner at the operational level. The scope of this training includes classroom discussion, guest speakers, and field trips. This advanced PA course is for mid to senior-level officers and civilians serving in Chief PAO or Deputy Chief PAO positions. Applicants to the advanced course must score a minimum 85 on the English Comprehension Level (ECL), have completed Specialized English Training (SET), an Oral Proficiency Interview, and must be graduates of the PAQC course. Psychological Operations (PSYOPS) enhance the ability for deployed personnel to conduct operations more effectively. 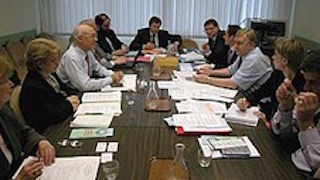 One of the main tasks of the PSYOPS Officer is the coordination, the planning, the dissemination and the evaluation of the effectiveness of PSYOPS. The members of PSTC's instruction team bring vast experience and expertise from the field of PSYOPS in recent operations. The PSYOPS Staff Officer course lasts a total of 19 training days, 4 Distance Learning days (DL) and 15 residency days (three weeks, Monday through Friday). The aim of this course is to produce PSYOPS Officers capable of performing the duties of a PSYOPS Staff Officer in a tactical or operational HQ, act as an advisor to all levels of command, to plan and produce PSYOPS staff products, and to conduct and supervise operational PSYOPS. The PSYOPS Officer course is designed for military personnel holding the rank of Captain or above for officers and Warrant Officer or above for non-commissioned members that will be performing PSYOPS Officer duties on international or domestic operations within a headquarters. Psychological Operations (PSYOPS) enhance the ability for deployed personnel to conduct operations more effectively. The analysis of target audiences and PSYOPS products is a cornerstone of PSYOPS. The PSYOPS Analyst course has a duration of 10 training days (two weeks, Monday through Friday). The aim of the Analyst course is to allow personnel to conduct target audience analysis, evaluate PSYOPS, analyze hostile PSYOPS and manage PSYOPS relevant information. The PSYOPS Analyst course is designed for military members holding the rank of Second-Lieutenant to Captain for officers and Corporal to Warrant Officer rank for non-commissioned members employed or in the process to be employed in a PSYOPS Analyst capability. Psychological Operations (PSYOPS) enhance the ability for deployed personnel to conduct operations more effectively. The core of the PSYOPS operations is the Tactical Operator (Tac Op) also known as the disseminator. The PSYOPS Tac Op course has a duration of 15 training days (three weeks, Monday through Friday). Members of the PSTC instruction team bring a vast experience from recent operations and students are exposed to realistic scenarios with trained role-players. The aim of the Tac Op course is to allow personnel to perform PSYOPS dissemination tasks, collect PSYOPS relevant information and advise on PSYOPS capabilities to a degree commensurate with their rank and experience. This course is designed for military personnel holding the rank of Lieutenant or Captain for officers and Corporal to Warrant Officer for non-commissioned members. 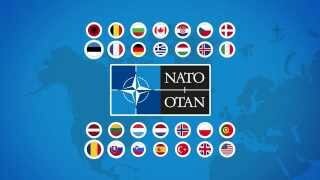 Location: The online course is available on NATO Joint Advanced Distance Learning (JADL) portal. To take it, look for course ADL 205 – Introduction to Strategic Communications.